Ellen Marshall offered to teach a class on surface design and donate the proceeds to the Guild for our Master Class and Visiting Artist programs. Talk about a win-win situation!! 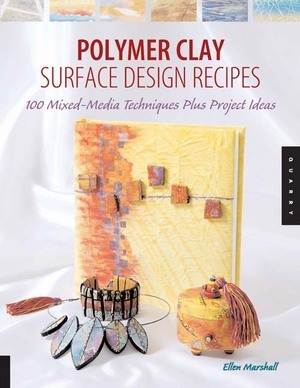 She shared a bunch of new ideas and techniques she developed after she wrote her fabulous book, Polymer Clay Surface Design Recipes. Kathleen Dustin in Philly this weekend! The Clay News is On Line!! !